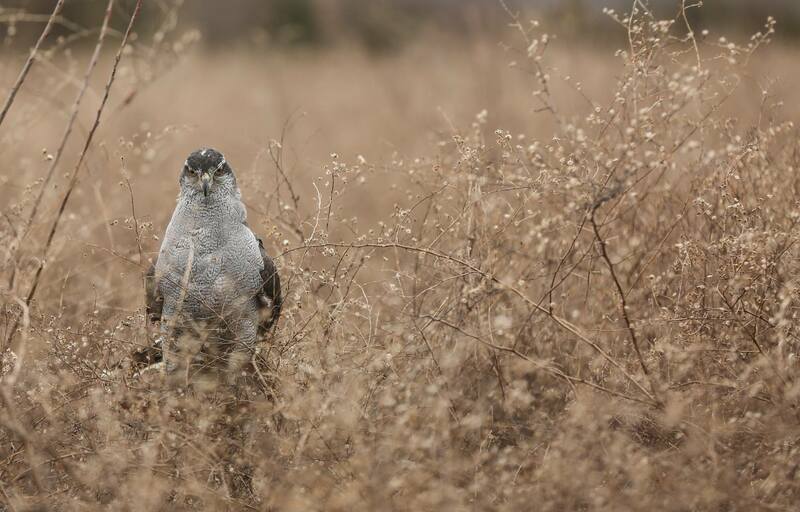 The goshawk is a bird that many people revolve their entire falconry career around. They become infatuated with all aspects of flying what is often considered the top bird in terms of innate abilities. Goshawks are flown in all forms from imprint eyas take, chamber raised birds, and even passage. 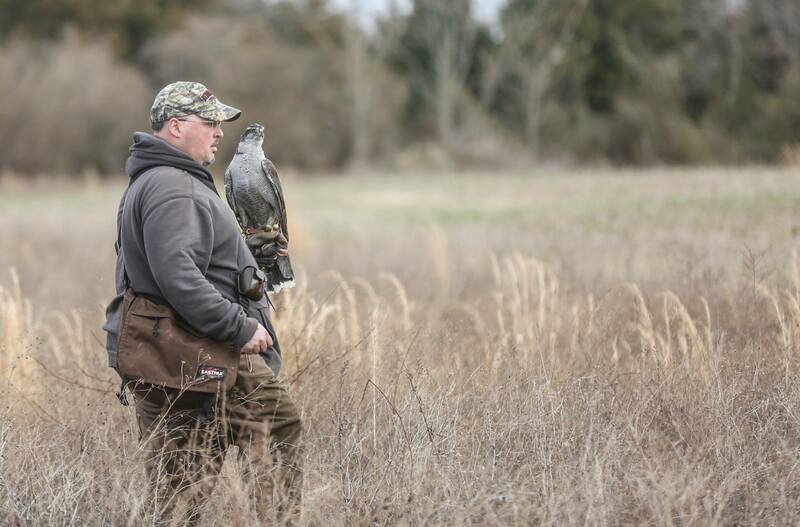 Many falconers stand by only flying a specific age bird, similar to the cooper's hawk. David Peck's 3rd year passage goshawk after a missed rabbit slip at the 2017 NJ Field Meet taken by Rob Giroux. Traditionally austringers (a traditional term for someone who flies accipiters, and primarily the goshawk) will fly the goshawk directly from the glove against the flushed quarry. 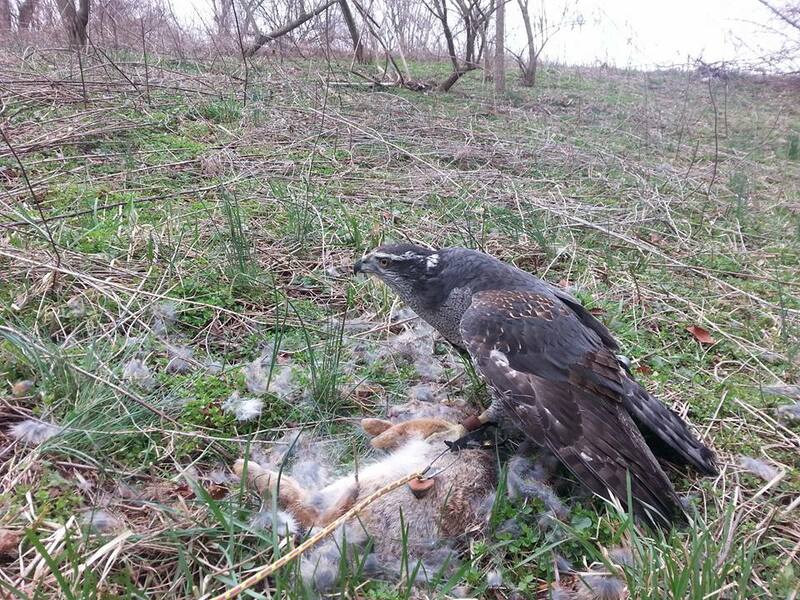 Quarry for a goshawk primarily is cottontail and jack rabbit, although there are falconers all over the world flying goshawks on squirrel, pheasant, ducks and even geese. With sizes for the various subspecies ranging all across the board there's normally a gender and subspecies that is fitting for the quarry you want to chase. It also slowly becoming increasingly common for a goshawk to be flown loose, more similar to the methods used by red tailed hawk falconers. David Peck walking a rabbit field with his 3rd year passage gos. Hunting a goshawk, or any accipiter, is full of intense moments. The second the flush happens the bird is already on the way off the glove. The actions tends to be up close and in your face making it understandably addicting for those that can find the slips for the birds in their area. You’ll notice in the opposing picture of David Peck’s passage goshawk the feather variations of a 2nd year bird that is a mixed between adult feathers and juvenile plumage. In the process the brown coloring of the passage bird is lost.